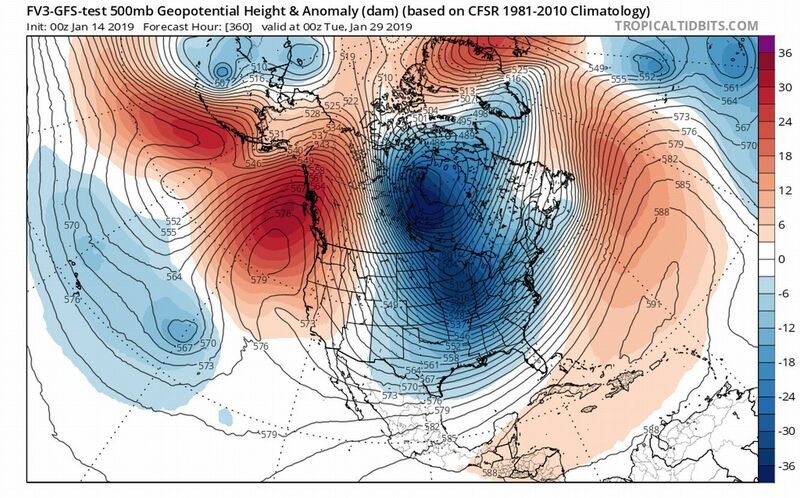 GFS and ensembles drop the hammer with the cold. 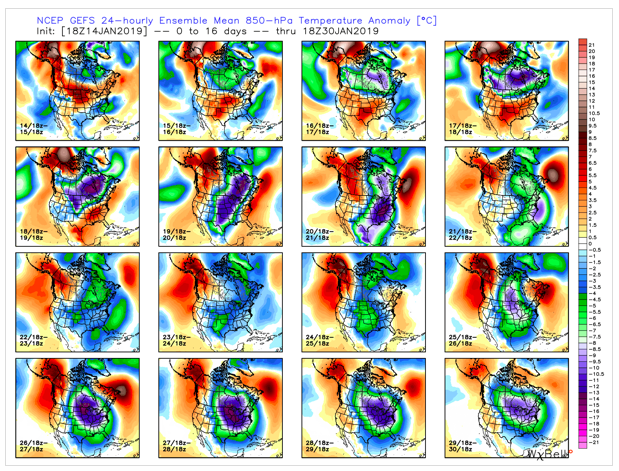 Euro and its ensembles aren't as frigid, but still below average. Looks like the corresponding storm track after is hinging on the track of this weekend's storm (suppressed like the GFS vs cutter like Euro/UKMET). Now trust me I know anything 5 days or more is unlikely and its probably an outlier but is the 18z GFS run for the 24th to 29th not a nightmare scenario for north and central Alabama? This has changed. Both models, now, drop the hammer on the cold Sunday into early next week. Looks brutally cold. If this verifies, it possibly will allow Siberian air mass intrusion. The weeklies are showing about the same idea. This type of cold will be hard on people. Is this 30+ year cold? Time will tell. This was at my house in East-Central Mississippi four years ago. I’d love this again, but I know that’s wishful dreaming. It was the first time I’ve ever seen this much snow! Apparently it’s what the GFS is showing. Classic gulf low with already cold temps in place. It’s 10 days out so who knows and it’s the American model which isn’t being adjusted due to the shutdown. After last year shutting out North Alabama I’ll settle for 3-4 inches. Anything but 38 and raining all day. driving from Chattanooga to Sevierville early Sunday morning. Anyone care to guess at whether we'll be OK if we get there before lunch? Got another .5” to 1” tonight. Pay attention to next Wednesday's gulf low situation. Enough cold air on the back side may get pulled in to see a quick changeover to snow as the back edge of the precipitation is pulling out. This DOES NOT look like a big event, but maybe a dusting right now for the northern half of MS and AL. 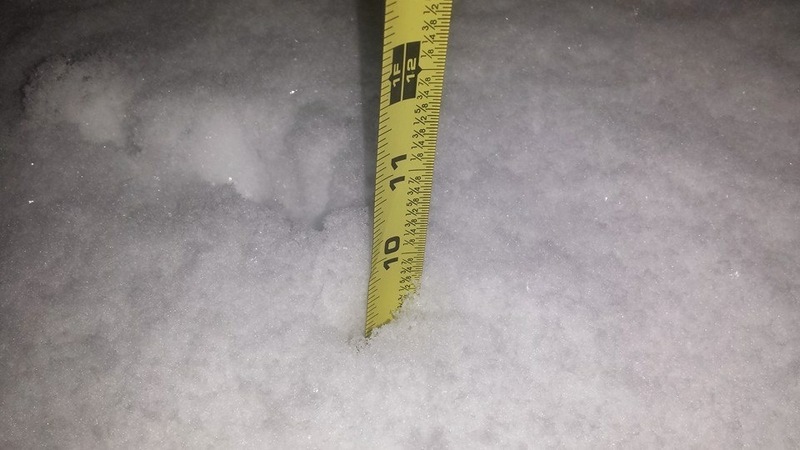 Looks like we ended up with about another inch last night. Hopefully we miss the snow and mix this weekend and just get some cold rain. Unless you live in the South. Then it shuts everything down and for some reason these people go crazy over it. I personally hate snow. And cold. Oh I would much rather it be 100 degrees. D.C. can handle a few inches but once you get above about 6” everything tends to shut down (the above-ground Metro lines can’t run, etc.). Getting close to a foot on Sunday ground everything that wasn’t already shut down to a halt. Seen this before only for it to back peddle. Case and point this weekend was looking frigid. It has moderated considerably. Yeah I don't expect it'll verify anything close to that, it was just an interesting look. It was a pretty dramatic change just from the previous run. It'd be the perfect storm for extreme cold in the deep south with snow on the ground and an extreme arctic air mass moving in.